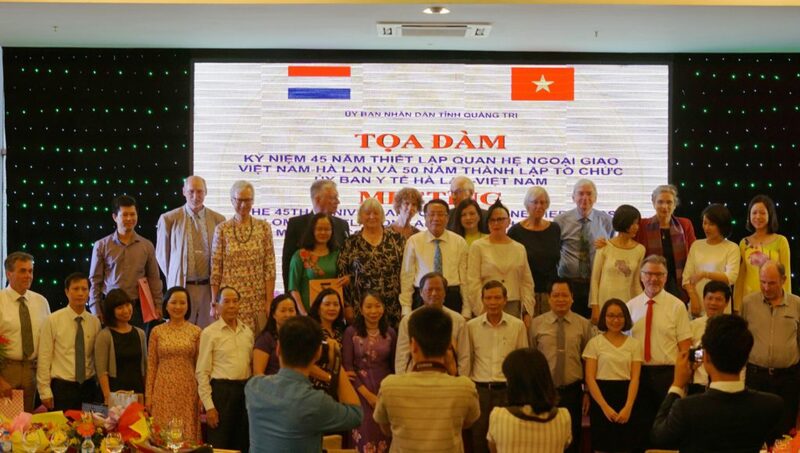 The People’s Committee of Quang Tri Province in cooperation with MCNV held a meeting to celebrate the 45th anniversary of diplomatic relationship between the Netherlands and Vietnam (1973-2018) and 50th anniversary of MCNV (1968-2018). The meeting took place on April 12th 2018 at Saigon – Dong Ha Hotel, Dong Ha City, Quang Tri province with the participation of leaders of Quang Tri province, representatives of departments, agencies, MCNV partner organizations and the presses. 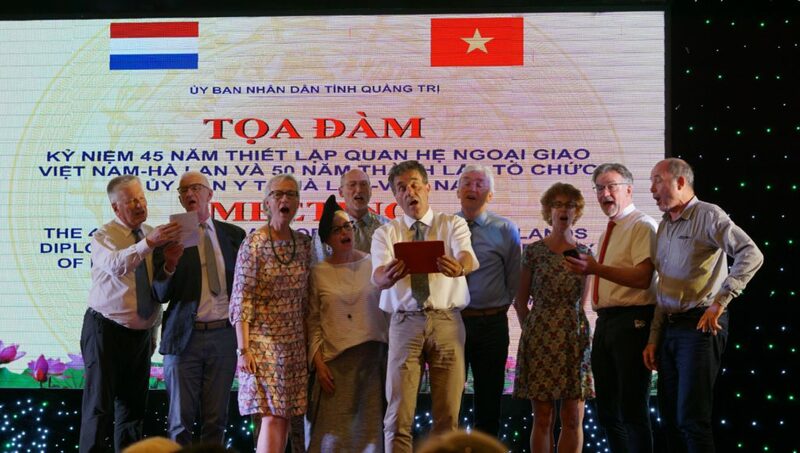 The meeting was also attended by Madam Nienke Trooster, Ambassador of the Netherlands to Vietnam, staff of MCNV Office in Central Vietnam and a group of special guest including Dutch individual donors and former MCNV leader and staffs from The Netherlands. In the cozy, friendly and cheerful atmosphere of the event, the participants looked back on memorable landmarks in the history of diplomatic relationship of the two countries, as well as the cooperation and development between MCNV and Quang Tri province. MCNV was officially founded on November 18, 1968 in the movement of protesting against the Vietnam War around the world. In the first few years of existence, MCNV was joined by more than 600 doctors, pharmacists, college professors and nurses in the Netherlands. And the number of MCNV’s individual donors reached more than 65,000 people. The first activities of MCNV mainly focused on the supplies of medicines and medical equipment to Vietnam. In addition, many facilities for people’s daily life and for the struggle against the U.S.A. such as bicycles and sewing machines were also donated by the Dutch people through MCNV. In 1973, MCNV launched a nationwide campaign in the Netherlands to raise funds to build a hospital in Quang Tri province where was seriously devastated by the war. This was a prefabricated hospital, mainly structured with aluminum and manufactured in the Netherlands. The installation of the hospital began in 1975, and was completed and officially came into operation in 1977. The original name of the hospital was Dong Ha Hospital, but later on the local government and people called it Ha Lan Hospital. The former Ha Lan Hospital contributed to the health care work for local people for 20 years until the province built a new hospital in 1997. The former Ha Lan Hospital was transferred to the provincial health staff training centre, and then to Quang Tri Secondary Medical School, which has become Quang Tri Medical College today. Also on the ground of the former Ha Lan Hospital, the MCNV Office in Central Vietnam was established in 1999 and has been implementing different programmes and projects until today. Also at this location, in 2006, MCNV established a museum to show pictures, posters and other stuffs related to remarkable events and activities of the organization, as well as the solidarity and enthusiastic support of the Dutch people toward the Vietnamese people during the war and in the years of reconstructing the country. Over 50 years of development, MCNV has been constantly changing to respond to the development in Vietnam. 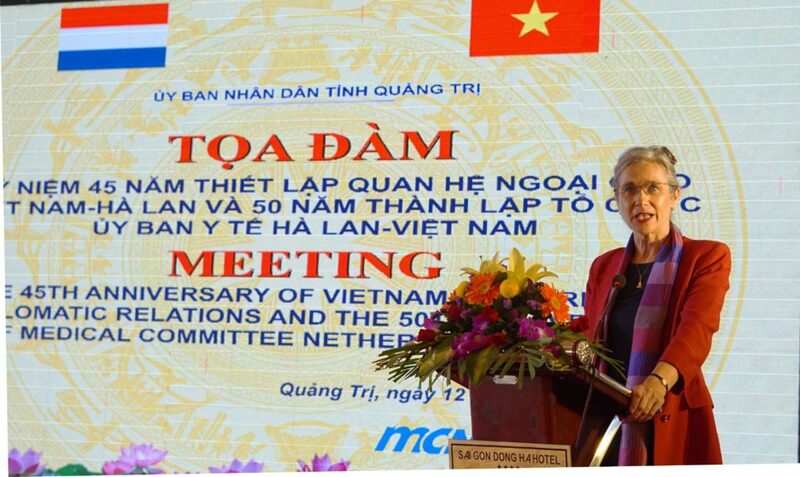 From the initial support of medicines and medical devices, from the late 1980s to the early 1990s MCNV cooperated with the Government of Vietnam to implement national programs on tuberculosis control and malaria and dengue fever control. In 1993, a primary health care program was launched in Quang Tri province, laying the foundation for the Community-Managed Health Development Program. In this development process, MCNV has always paid much attention to building capacity and working closely with local authorities and partners to support the marginalized groups, including the poor, the disabled, ethnic minorities, people with mental health problems, disadvantaged women and children. MCNV’s contributions to the work of people’s health care have been highly recognized, with 3 times receiving the Order of Friendship from the President of Vietnam in 1977, 1993 and 2004. 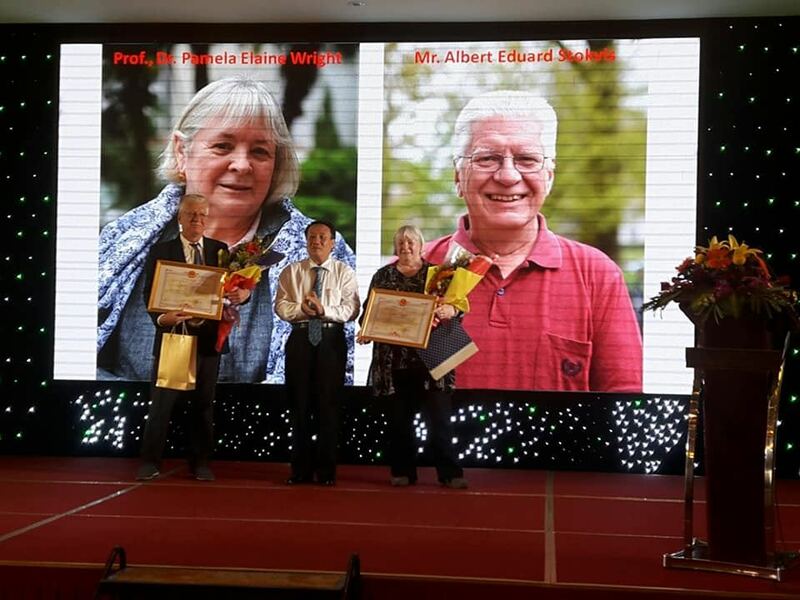 The People’s Committee of Quang Tri awarding the Certificates of Merit to Professor Dr. Pamela Wright and Mr. Ab Stokvis for their great efforts to Vietnam and to Quang Tri in particular. The celebration of 45th anniversary of the Netherlands – Vietnam diplomatic relationship and the 50th anniversary of MCNV in Quang Tri reflects the profound solidarity between the governments and peoples of the two countries and is a deserved recognition of the contribution of MCNV to the development work in Quang Tri in particular and Vietnam in general. The leaders of Quang Tri Province and the Ambassador of the Netherlands to Vietnam as well as MCNV’s local partners highly appreciate the positive contributions of MCNV and expect MCNV to continue cooperating with Quang Tri in the coming years, especially in the areas of community health development, water management and sustainable agricultural livelihood development.